Ohmygoodness, I'm obsessed with putting NAMES on everything (even my stuff, ahem). These look AWESOME! I know that this is going to make me sound completely pathetic and sad, but they make me want to have another baby so I can label baby stuff! Yeah, that sounded way better (less crazy?) in my head. Hi Sara! 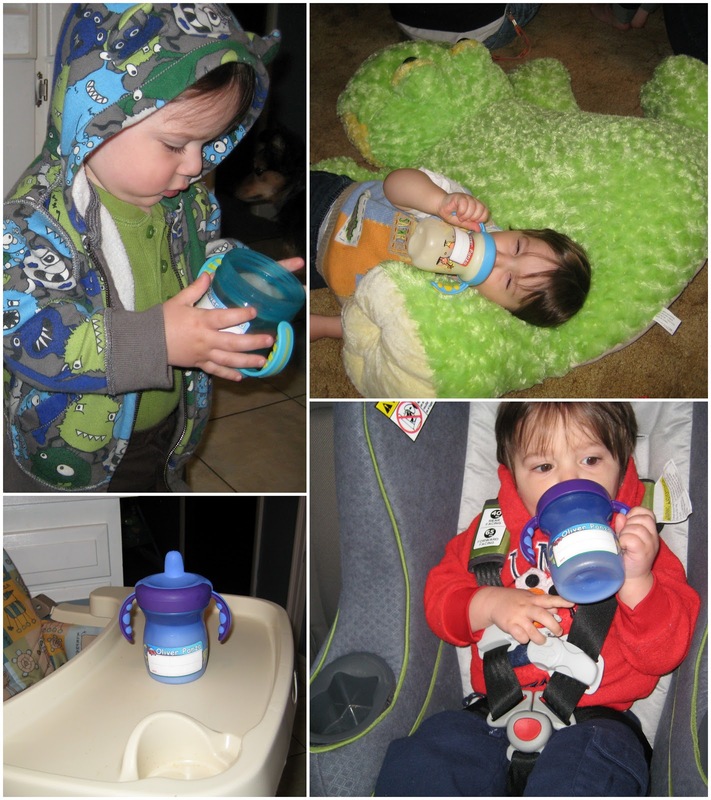 These are just awesome--even more so because they are called "Oliver's Labels" of course! I have never seen that found it code system before either. I need to look into getting me some of these. I'm happy to see someone else who has sippy cups that apparently multiply in the dark. These sound wonderful -- how many cups have gone missing due to masking tape and sharpies? I'll have to look into them for my SIL -- she's preggers and wants to make her own babyfood. This might be a cute way to label some of the food!